The €2,200 High Roller is down to the last nine players out of 27 entries and the top five spots will receive a portion of the €54,000 prize pool, the min cash is worth €5,050 and the winner can look forward to a payday of €20,690. No longer in contention for the cash prizes is Unibet Poker ambassador Dara O’Kearney, who started the day as the chip leader and "didn’t win a single pot at all." 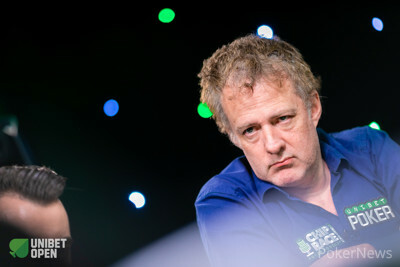 Among the notables still left are Seamus Cahill, Benny Glaser, UnibetPoker.fr ambassador Alexandre Reard, Kevin Kileen, as well as Michael Mazilu and Jack Sinclair. Mazilu and Sinclair busted early into the day and re-entered subsequently to take another shot at the High Roller title. The €330 Deep Stack Open Cup is down to the last 13 players and yet another Unibet Poker ambassador fell short of glory. Former esports player turned poker professional Frederik Bergmann took home €660 for his efforts and will be playing on Day 1b of the €1,100 Unibet Open Dublin Main Event. Mihai Manole, John Keown, Dennis Kleinleugemors and Michael Farrelly are still in contention.